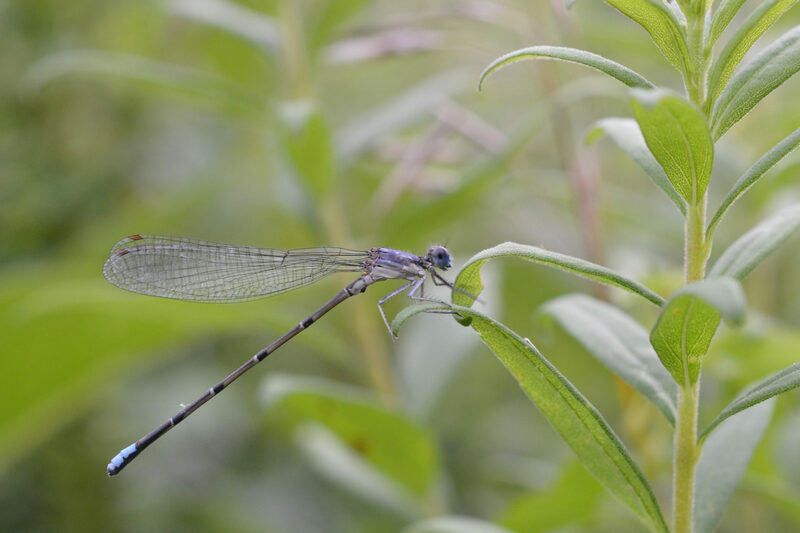 Did you know there was such a thing as a damselfly? It can be a little tricky to figure out the differences between the a dragonfly and a damselfly. The easiest way is to look at them while they are at rest. A dragonfly will rest their wings perpendicular to and away from their body. A damselfly will rest their wings together right above their torso. There are a few other differences as well, but that will be the easiest one to spot! They are insects belonging to the order Odonata. A dragonfly has a long body and large multifaceted eyes that are usually touching each other. They have 2 large strong transparent wings. They have 6 legs, however, they are not very good walkers. Dragonflies are predators that feed on mosquitoes, bees, ant, termites and other small insects. They are very useful predators, because they help control the population of annoying and harmful insects. You will usually see a dragonfly near ponds, lakes and other wet areas. Not only are these habitats ripe with mosquitoes and other yummy snacks, the dragonfly will lay their eggs in or near the water. The larvae, or “nymphs” will live in the water and stay in this stage for as long as five years, whereas the adult stage of a large dragonfly may only last six months. Have you ever been bit by a dragonfly? If you have, it was most likely a nymph. Their bites, while painful, are harmless. An adult dragonfly does not bite or sting. Damselflies are insects that also belong to the Odonta family. 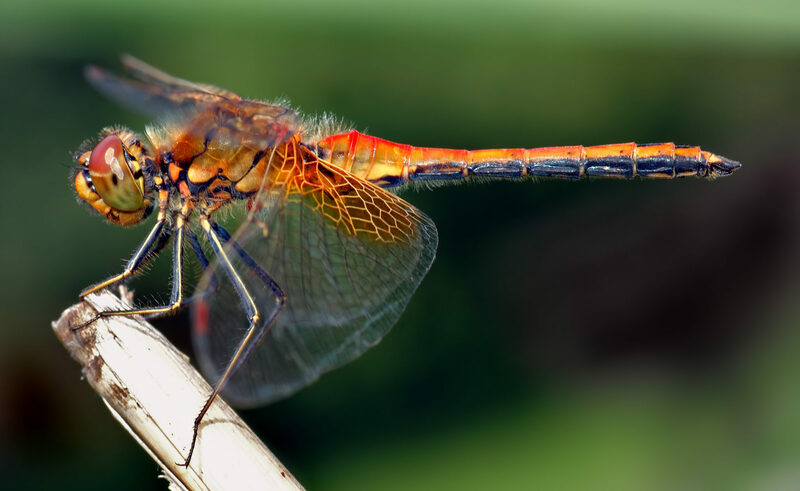 They have a long body, but are usually smaller than dragonflies. Their eyes are separated, not touching like the dragonfly. Damselflies are seen as weaker fliers than the dragonfly. Diet and Habitat characteristics are the same as a dragonfly. The next time you on a nature hike or hanging out in your yard and you spot one of our little friends, see if you can spot the differences!